CSMS Magazine » The Black Vote is Not Cheap! You Are Here: Home » Ardain's Corner, Dossiers, News, US » The Black Vote is Not Cheap! The Black Vote is Not Cheap! It is okay for politicians on the campaign trail to do whatever they could to win votes, but it is morally and politically repugnant to use race as a catalyst in a fight against a political opponent. Hillary Clinton is doing just that. Following her crushing defeat in New Hampshire and her narrow win in Nevada, the Clinton campaign is extremely nervous. 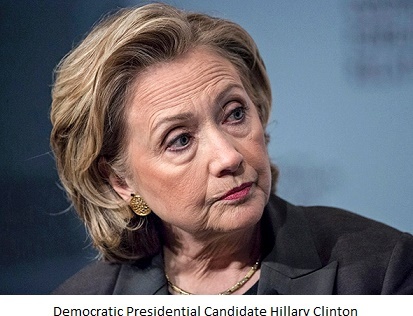 Consequently, Hillary Clinton has been heavily courting Black America to come to the rescue. As the battle shifts to South Carolina this Saturday, despite the fact the establishment media has already put a seal on a Clinton victory against Bernie Sanders, Madame Secretary is taking no chances, mobilizing black leaders across the South, reminding them that she has always been there for them. Really? For whom? I’m not sure Hillary has always been there for me as a black man, and ME here means the black constituency in which I belong. Of course, Hillary has been there for some black folks—those who have long been part of the elite, extremely wealthy and whose positions in society have long rendered them colorless. Their social activism goes no further than the race issue, beyond that, their reactionary credentials can only make one’s stomach churn. It’s all about protecting their social positions as nouveaux riches. Protecting their personal relationship with the Clintons, gaining access to the White House, golfing with Good-Old Bill are all key to solidifying their social status. But to maintain this relationship in this “critical” moment, they know they have to deliver; and what has to be delivered is the Black vote—A key component in Hillary Clinton’s winning strategy. The brand of Democratic Socialism that Bernie is offering America is not appealing to many black leaders because in their view, they have already crossed the swampy desert of poverty. And when Bernie Sanders is talking about Health Care as a right, not a privilege, education for all, this threatens their positions. It is fair to say that in this great political discourse, there are divisions within the African American leadership. For example, Harry Belafonte, Dr. Cornell West, ML King Junior, Ben Jaleous, Spike Lee and others have come out to land their support for Bernie Sanders. They believe that the Black vote is not a second-hand merchandise that can only be sold at wholesale trading. On top of that, thousands of African-Americans, Latinos, Asian-American youth have thrown their support for Bernie. And they are not naïve. They know that voting for someone who would represent their strategic interests is not only the moral thing to do, it is the RIGHT thing to do. The time when we were told to vote for someone because of the color of his skin or because he or she is from our same clan of ethnicity is no more. 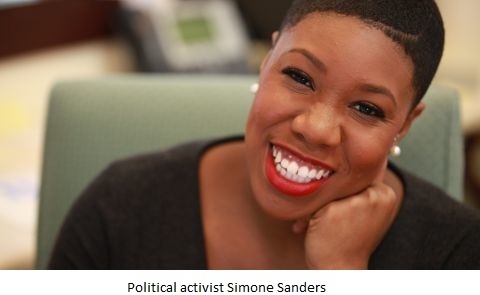 We have grown up, as Simone Sanders, a flamboyant black lady who is one of the spokespersons for the Sanders campaign, said during an interview this week on CNN. Historically, in the struggle for black emancipation, there have always been divisions of opinions. Remember the big rift between Booker T. Washington and Dubois? History proves Dubois was right. African-American youth need jobs and education, not incarceration. Of course Booker T. Washington never advocated for incarceration, but he warned black folks against raising the bar too high or risk losing it all. His argument triggered a powerful rebuke from Dubois of Haitian origin. His disagreement with Washington is beautifully documented in The Souls of Black Folks published in 1903. In response to Booker T. Washington’s ascendancy and his “program[me] of industrial education, conciliation of the South, and submission and silence as to civil and political rights,” Dubois tells us that “a time is come when one may speak in all sincerity and utter courtesy and the mistakes and shortcomings of Mr. Washington’s career, as well as of his triumphs, without being thought captious or envious, and without forgetting that it is easier to do ill than well in the world.” The Souls of Black Folks (pages 35- 37) These prophetic words from the Souls remain true to these days and to Dubois himself who is their stander bearer, more than 100 years later. Today, what some of the black leaders are doing is an attempt to resurrect the Atlanta Compromise of 1881 which gave rise to Booker T. Washington. The Congressional Black Caucus which endorsed Hillary Clinton last week has a long history of reactionary politics. Under the leadership of Walter Fauntroy, the caucus represented the Duvaliers in Washington D.C. to the very last days of that sadistic regime in Haiti. They did it in the name of Pan Africanism, despite the fact Amnesty International had documented the slaughter of more 50, 000 Haitians by the Creole fascists in Haiti. I feel it is totally disrespectful to think that African-Americans don’t know any better. If a sizable number of black folks cast their votes for Hillary is not because they think Madame Secretary is the best person or the most “qualified” to represent their interests, it is because of what their leaders have told them, spoon-feeding them a narrative that offers kneejerk political support for Clinton. The time has come for the political tutelage to end.